IS THE NATURE OF WAR CHANGING? We explore the ambiguity which surrounds war and armed conflict as a result of the manifold ways in which the character of war has changed. Our work enhances understanding of the actors, methods, environments, and wider context of contemporary and future armed conflict by exploring the responses of states and international organisations to these factors and tackling issues surrounding their legal and moral dimensions. We combine theoretical engagement with practice, doctrine, and strategy, and rigorous thinking on norms. Through strategic, in-depth thinking and identification of key trends, our research informs decision-making on pressing issues of contemporary conflict and proffers insights on the future character of war. Our team engages in both qualitative research, employing ethnographic and archival methods, as well as in quantitative research. We address the changing character of war by analysing both the continuities and fresh permutations of war and armed conflict. Our research themes have been strongly influenced by conflicts that continue to shape events in the Middle East, Russia and Eastern Europe, the Asia-Pacific region, North Africa and central-South America. The seminar series has drawn attention to other thematic aspects of the programme’s interests in war’s changing character, from pseudo-state actors like Islamic State to nuclear armed aggressors like Russia, and from automated technologies to hybrid warfare, and from the tactical experience of war and the fortunes of conflict resolution. Central to our research method is an interdisciplinary approach which employs the differing perspectives and expertise of a variety of disciplines: history, political science, international relations, philosophy, law, anthropology, development studies, economics, and computer science, among others. Support to specialists in the MOD on a variety of themes in the form of workshops or bespoke advisory work (such as ethical conduct in war; and protecting negotiations). Education for officers of Permanent Joint Headquarters and Joint Forces Command with diverse themes (from critical thinking to political systems). Nordic Baltic Defence and Security Seminars with the Ax:son Johnson Foundation (Sweden) and Norwegian MOD. Lectures on the Changing Character of War for the Turkish Staff College, NATO Defence College, Netherlands Defence Academy, UK Defence Academy, Royal College of Defence, Studies, US Army War College, US Navy War College and Ecoles Militaires. The Director will be in Qatar this year to give presentations to the Royal Air Force mission there; in Israel, to plan a ‘staff ride’ for the Royal College of Defence Studies and to make a documentary; in the United States for lectures on future war, resilience, and the Syrian War; in Canada, also to lecture on Syria; and visit other countries for similar activities. Support to Development, Concepts and Doctrine in their research in regions (and regional conflicts), global strategic trends, future operating environment and future operating concept. Foreign and Commonwealth Office: Assistance and research into the Colombian peace process with additional professional education to assist the Colombian defence university transform to a post-war footing. The Chevening Scholarship scheme, which brings Chinese military/ academics to Oxford to conduct a specific, short-term research project. A major AHRC (UK Arts and Humanities Research Council) interdisciplinary research project on a empirically-founded theoretical framework for the understanding of change in armed conflict across the globe. A bi-weekly, and sometimes tri-weekly seminar series on the Changing Character of War, Violent Non-state Actors and New Warfare, and research support workshops. An Annual Lecture, open to all members of the university on a subject of importance in conflict, its resolution or its consequences. A number of incidental workshops that examine aspects of strategy and conflict (including, in 2017, ones in ‘the Development of Doctrine’ and ‘Making Strategy’). Further publications are envisaged. Dr Idler will publish a book in 2017/18 while new faculty members joining in 2017 will have their own publications. The Director will publish several articles in 2017, an edited volume in 2018 and another monograph in c. 2020. The CCW series will also receive new works in the next four years. The New Strategist Journal (http://www.ccw.ox.ac.uk/the-new-strategist) will publish on-line several articles and up to two special editions in the next two years. We anticipate a number of articles will follow in 2018-20. Strategic Executive Leadership Courses (from 2015) on the changing character of conflict and their policy implications. Las Fuerzas Armadas Revolucionarias-Ejército del Pueblo (FARC), el Ejército de Liberación Nacional (ELN) y otros grupos violentos no-estatales están profundamente arraigados en las zonas fronterizas de Colombia. La incertidumbre acerca de lo que sucede en las fronteras después del acuerdo de paz entre el gobierno colombiano y las FARC debe abordarse en el caso en el que una paz duradera sea lograda. Una estrategia integral post-acuerdo para Colombia requiere un enfoque particular en las zonas limítrofes donde necesitará desarrollarse: • Del abandono del Estado al desarrollo sostenible. • De la inseguridad producida por múltiples grupos violentos no-estatales a la seguridad ciudadana dirigida a la población. • De la delincuencia organizada transnacional a las oportunidades transfronterizas económicas legales. Este informe de política pública expone los retos y acciones en estas tres áreas clave. La gestión de los riesgos y la incertidumbre sobre la seguridad civil en las zonas fronterizas en particular en el período inmediatamente posterior al acuerdo de paz es fundamental para la estabilidad a largo plazo del mismo. Este informe es el resultado de un estudio de las zonas fronterizas de Colombia llevado a cabo entre los años 2010 y 2016. Our research has been shaped by the tumultuous events with which the 21st Century began: 9/11 put counter-terrorism high on the agenda, while military interventions in Iraq and Afghanistan reasserted the role of counterinsurgency in defence; more recently, the Arab Spring, newly failing states and the rise of China have shifted power balances. The fuelling of conflicts in the Middle East and North Africa, the emergence of Islamic State, Russian operations in the Baltic, the use of autonomous weapons systems, and cyberattacks add complexity to the world’s security landscape. These issues have one thing in common: ambiguity. Contemporary security challenges are increasingly characterised by the proliferation of diverse violent non-state actors, including insurgents, terrorists and criminals. From ISIS and Al Qaeda in the Middle East, the Lord’s Resistance Army in the Democratic Republic of Congo and Al-Shabaab in Somalia, through to FARC in Colombia and the Sinaola Cartel in Mexico, these actors matter across the globe. Syria alone today counts more than 5,500 different groups. In some cases different violent non-state groups cooperate with each other; in others, they have developed in-house capacities in a variety of violent businesses. The increasing significance of these transnational groups blurs the lines between civilians and combatants, and calls into question the concept of borders, which is at the core of the Westphalian state system. Nevertheless, although forced to adapt to shifting balances of power and to share ground with these groups, the state continues to retain its importance. This trend, then, raises the question of whether the character of war has changed to such an extent that it has become indistinguishable from other forms of armed violence. Has the state become simply one actor among many or does it retain a dominant role in modern warfare? This ambiguity in the character of the actors that dominate current and future warfare needs to be explored by examining the micro-dynamics of conflict including the variety of non-state players on the ground, the role of the state, and the impact on the security of civilians and material goods, including sites of cultural heritage. 21st century conflict has seen increasing hybridity in warfare. As the Ukraine Crisis 2014 shows, a mixture of different tactics, including manipulation, the use of technology, and boots on the ground, has made limited warfare increasingly common yet also more ambiguous. Both here and in other contexts, such as where autonomous weapons systems are used to complement conventional means of warfare, difficulties in attribution add complexity to the issue. The concept of war itself has been challenged through hybridity. When do we consider organised armed violence a conflict, or war, or when is it merely turmoil? Situations like the ‘drug war’ in Mexico or public unrest in the Arab Spring require us to rethink where we draw the lines between conflict, violence, and other forms of contestation, and how we make sense of phenomena that might no longer fit neat categories of past thinking. In an increasingly urbanised world, not only favelas and slums, but also richer sectors of megacities constitute battlefields that do not compare with the scenes of urban warfare two hundred years ago. Instead, these megacities have become a playground for a variety of conflict actors who may combine shadow governance with selective killings and conventional warfare to achieve their goals in the midst of mass civilian populations. If exacerbated by the use of biological or chemical weapons, a violent dispute over drinking water, or the unforeseen outbreak of an epidemic, for example, the ambiguous methods employed by such actors to achieve their goals may quickly turn into the chaos of violence. At the same time, peripheral spaces, such as borderlands, are the converging places of conflict and crime. Often dismissed as ‘ungoverned spaces’, such spaces are in fact often illicitly governed, providing safe havens for terrorists, constituting business hubs for organised criminals, and functioning as zones of retreat and reorganisation for conflict actors. Meanwhile, maritime spaces have regained importance. Piracy off the shores of Somalia and disputes in the South China Sea are just some of the current issues which require a thorough rethinking of how we ensure maritime security and which demonstrate how this concept is applicable to diverse challenges in various spaces. Never before has information been so easily accessible across the world as today. The world’s interconnectedness has been strengthened through information technology, especially the Internet, which has produced new challenges for international security. Social media such as Twitter and Facebook have produced a cyberculture that shapes not only our everyday lives, but has also led to a situation in which conflict far away is visible instantly in our living rooms; in which freedom fighters are recruited easily via the internet; and in which perceptions on how states respond to war are easily influenced. Information is used both by state and non-state actors to manipulate the public. At the same time, cyberspace has become the fifth dimension of war. Cyberattacks and cyber warfare have become serious national security threats that affect countries of all sizes and power across the globe. Nonetheless, information is a blessing as well as a curse: big data offers new opportunities for successful operations in conflict and for limiting violence in war by better targeting. All four themes require critical reflections as to how we anticipate or respond to these trends. States are no longer the sole actors that matter in conflict: international organisations, regional alliances, civil society organisations and private companies need to be accounted for in contexts that often require a multilateral response. One reflection of the changing character of responses to war is hybrid peacekeeping operations that combine both military and civilian elements. Another reflection is the increasing collaboration between state forces and regional formations such as NATO or the African Union. Not only military responses, but also diplomacy needs to be tailored to these changes in contemporary conflict, by taking on board new actors such as civil society, and encompassing new dimensions, for example through digital diplomacy. The ambiguity in the actors, methods, and context of contemporary war raises many legal questions. Legal voids in the cyber arena, the potential need for new rules of engagement in the light of autonomous weapons systems, and a stricter framework for maritime security are among the issues that need consideration if we are to understand the changing character of war in a holistic manner. The blurring of lines between combatants and civilians is another area for investigation. Today, the norm that civilians should not be killed in war is used to justify armed intervention in Libya or Kosovo, and has been debated throughout the Syrian conflict. The extent to which this is practically feasible in times of high ambiguity is contested. The ambiguity of contemporary conflict poses ethical and moral questions that need to be revisited as the character of armed conflict changes. What is the legal and moral status of combatants who fight in a war that is illegal or unjust? Can such soldiers be held responsible for fighting in the war, even if they act in accordance with the Laws of Armed Conflict as they are currently interpreted? Conversely, what is the status of non-combatants who have moral responsibility for the initiation of an unjust or illegal war, even though, as non-combatants, they are not directly involved in its prosecution? Could it ever be justifiable to deliberately target and attack such non-combatants? Is there a case for re-thinking the well-established principle that the laws of war apply equally to all belligerents, irrespective of the circumstances surrounding the initiation of the conflict? In the past, conceptions of future war and conflict were either exaggerated, ridiculed for absurdity or thought self-evident. Ideas about future war today are no less controversial even though planners and strategists depend on forecasting, assessments and assumptions. Intelligence organisations, international institutions and even NGOs are expected to 'know' and governments are criticised when failing to plan ahead accurately. Given the ambiguity and uncertainty in which conflict is embedded today, how can we even speculate about the future? Still, the trends and cross-cutting themes identified above enable us to think ahead and to reflect thoroughly on scenarios that need to be assessed and evaluated if we are to understand and adequately tackle the future character of armed conflict. 2016-17 was a year of greater collaboration with other institutions, including a visit to the United States to participate in the partnered New America conference. These institutional links are the outcome of a key feature of the programme’s work - the hosting of Visiting Research Fellows and Research Associates. CCW has a number of experts working as permanent Research Associates at alongside our team of Core Staff. The CCW programme has been pleased to engage with the work of the Development Concepts and Doctrine Centre (DCDC) which is based at Shrivenham. The CCW programme has conducted Strategy Forum events, provided interns and offered bespoke support on preparations for doctrine and concept materials, including The Future Operating Concept, (2016) and preparation of Global Strategic Trends 6, a flagship piece of work by DCDC. The Director has assisted the Standing Joint Forces Headquarters, SHAPE, the Royal Netherlands Armed Forces, the US Army, the Royal Air Force and the British Army with work on operations and transformation. CCW is not simply a research centre, but seeks to exchange knowledge, emit the findings of its research, and, at the same time, collect and analyse developments in the field. In addition to public events, CCW provides bespoke support to individuals and organisations in government and the armed forces, both in the United Kingdom and internationally. Programme staff and associates are able to offer advisory services or to convene events in Oxford drawing on an international network of experts. CCW has hosted the Chief of the Defence Staff’s triannual UK Strategy Forum since 2014. Our advisory work has taken the form of study days, lectures, and training in Oxford and beyond, including the United States, Qatar, the Netherlands, Greece, Germany, Norway. Our advisory services are in keeping with the Centre'smandate to make research relevant and to inform those charged with making decisions or executing change. This led to a significant contribution to the process of negotiation and military transformation by CCW and its advisors, led by the Director of Studies, Dr Annette Idler. In addition, they convened three educational courses for senior military personnel of the Colombian Army. Bespoke CCW events include lectures and study days, advice, committee support and connections to subject specialists. CCW's collaborations have taken the form of both long-term relationships and one-off events. Although our staff are able to travel to clients, most of our events are hosted in Oxford. The University is replete with conference and seminar facilities, while the city’s location, with easy access to central London and the airports as well as excellent links to both the North and the West make it a popular venue. Delegates have often spoken about the inspirational surroundings and of feeling refreshed and energised to be away from the office. Many of our events take place in Pembroke College, the Centre's home college. The original seventeenth and eighteenth century quads have been supplemented by the elegant Rokos Quad which comprises state-of-the-art conference facilities, finished to the highest standard and with full disabled access. As a result, Pembroke is able to offer meeting spaces varying from the high-spec Auditorium with seating for 170 to traditional, wood-panelled boardrooms. In 2014, as part of a competitive tender process, the CCW Programme successfully bid for the opportunity to convene the triannual meetings of the Chief of the Defence Staff’s UK Strategy Forum. CCW continued to act as the host for the UK Strategy Forum until March 2017. In summer 2016, the Government of Colombia requested that we to assist in the transformation of their army brought about by the peace process between the government and the FARC. This led to a significant contribution to the process of negotiation and military transformation by CCW and its advisors, led by the Director of Studies, Dr Annette Idler. The initial project was entitled ‘Towards Sustainable Peace in Colombia and the World: A Critical Perspective on Army Transformation’. In partnership with the CAEEF (the Centre for Strategic Analysis of the Colombian Transformation Command), Dr Idler and her team critically analysed the process of transformation of the Colombian army, carrying out academic research based on fieldwork, and reviewing policy documents and the secondary literature. In addition, they convened three educational courses for senior military personnel of the Colombian Army. The success of this initial project led directly to further funding from the UK Foreign and Commonwealth Office for a follow-on project entitled ‘From Conflict Actors to Architects of Peace: Promoting Human Security in Colombia and Internationally’. In addition to academic research into the changes in the security landscape that come along with transitions from war to peace, the project explores how Colombia’s security architecture needs to be adapted to these changes in order to anticipate and respond to them and to promote human security in Colombia and internationally. It draws on on a wide range of different perspectives including marginalised communities, indigenous, Afro-Colombian and other civil society leaders, guerrillas, ex-combatants, displaced people, military and police officials, government representatives and NGO as well as UN staff. As of 2016, one area of particular thematic focus for the CCW has been the defence and security of Scandinavia, the Baltic and Eastern Europe. Thanks to the generosity of the Axel and Margaret Ax:son Johnson Foundation for the Public Benefit, we have been able to host Visiting Research Fellows, engaged Dr Hessérus as our Senior Researcher link to Sweden, and have recently employed Dr Andrew Monaghan, a specialist on Russia who will lead the research initiative over the next three years. Our Swedish links also extend through our relationship to the Development, Concepts and Doctrine Centre (DCDC) in the UK MOD which provides the doctrinal support to Sweden. This comparative research project examines the political goals and diplomatic tactics of the UK, France, Germany, Poland and Romania in relation to NATO’s emerging deterrence posture vis-a-vis Russia in the aftermath of the 2014 Crimea annexation. In particular, it examines the process leading to the decisions taken at the 2016 Warsaw Summit to support an Enhanced Forward Presence in the Baltic States and Poland as well as to increase the NATO presence in the Black Sea. 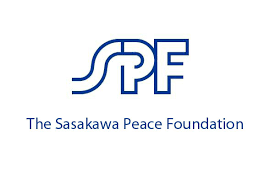 Dr Jeff Michaels, KCL, Visiting Research Fellow, currently leads this project on behalf of the Sasakawa Peace Foundation. In 2016-17, CCW continued to act as the host for the UK Strategy Forum. The Strategy Forum dealt with Russia and international inequality. This year, CCW also assisted DCDC in the preparation of its Global Strategic Trends programme, examining future conflict and future defence issues.